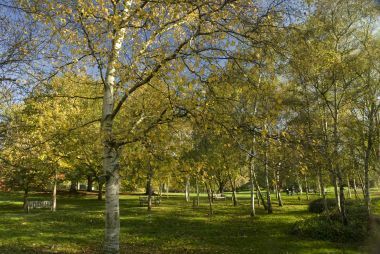 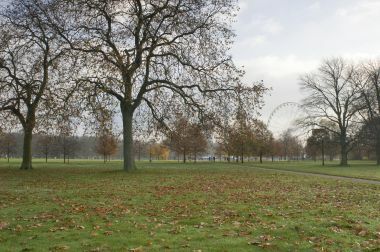 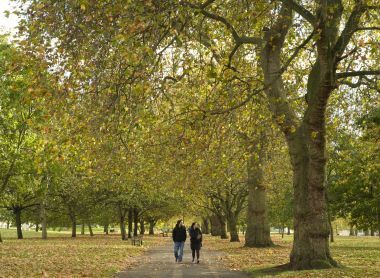 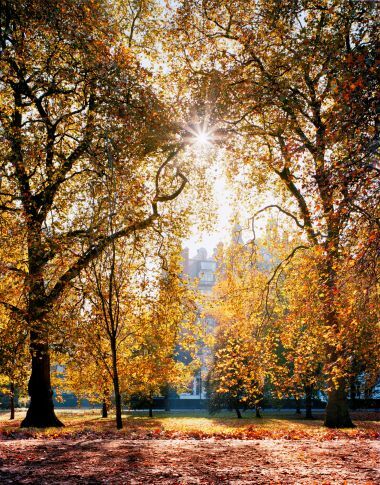 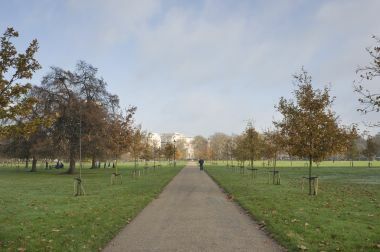 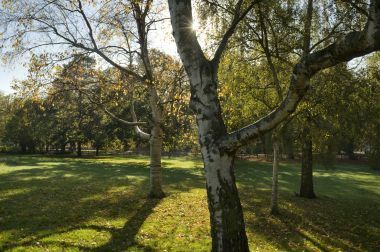 Fallen autumn leaves in Hyde Park with the Winter Wonderland Observation Wheel in the background. 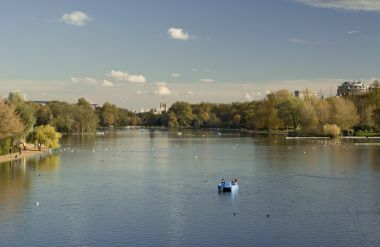 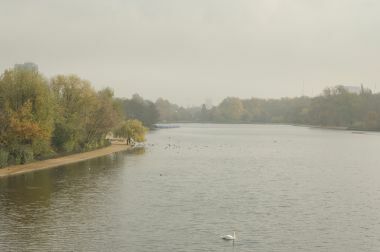 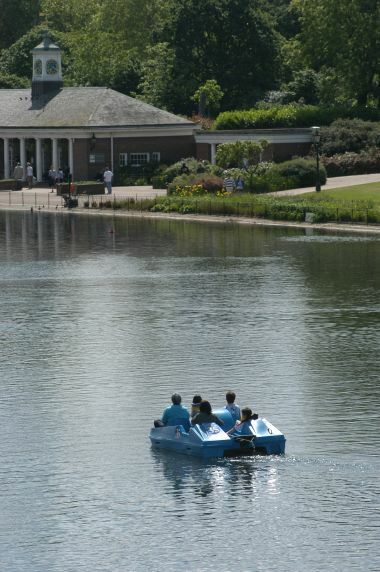 An Autumn view of The Serpentine taken from Serpentine bridge with a pedal boat on the water. 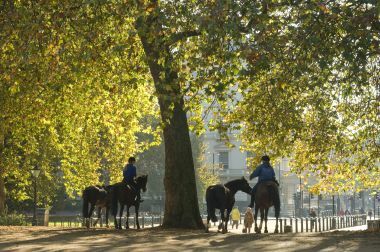 Four horses and two riders take a ride amongst the Autumn leaves by South Carriage Drive.